I started in Education in 1988. I have a passion for ensuring that every child has access to quality educational and social/emotional programs. I believe that it only takes one person to make a difference in a child's life, this person can often be an educator. Rivervale Primary School (formerly Tranby PS) seems to run through my veins! 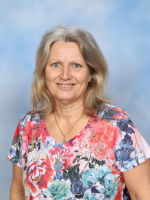 I started teaching here in 1998 and met my wife at Tranby Primary who was on Teacher Exchange in 1999. Having resigned and lived in the UK for a couple of years, we returned to Perth and I was fortunate enough to win a position back at Rivervale. 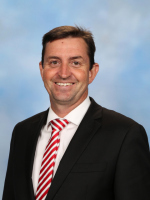 After leaving Rivervale again to accept a Deputy Principal Position at another school, I returned some 4 years later as the Deputy Principal of Tranby. I can honestly say I have an enormous connection with this school and I am very passionate about the programmes we run here! 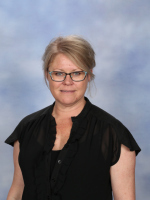 I have worked at Rivervale Primary since 2004 and have enjoyed the relationships I have built up over time with the children and their families. I will be the first welcoming face you see and will greet you with a ready smile and as much help as possible. I have been an Early Childhood Teacher since 2005. I love seeing the growth in my students and am proud to take part in their learning. My love and passion for teaching is ignited when I walk into the classroom and see the smiles on each child's face. I value the importance of building strong foundations in literacy and numeracy in the early years and strive to assist each child in my class to reach their full potential academically and socially. 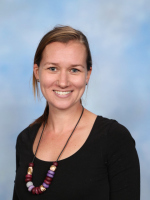 Ms Chandler is teaching in our Year One/PrePrimary class and our Year Two class. I am dedicated and passionate about achieving personal, social and academic growth for your child. I have worked as a school psychologist for over twenty years. My first ten years were in the country and then I transferred to the South Metro Region. I have been at Rivervale Primary since 2012 and I am not supposed to say, but it is my favourite school! I love the friendly, family atmosphere and the caring staff. I have been teaching since 2015. I have a strong passion for play based learning in early childhood and aim to allow every child to reach their full potential. I love getting to know each and every student in my class and engaging them in learning that is relevant to their interests. 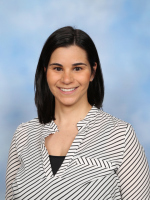 I am thrilled to be a part of the Rivervale community. 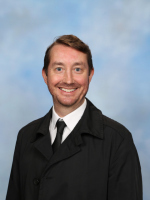 I started as the Chaplain at Rivervale Primary School in 2015. With a background in Psychology, I have worked with young people in numerous settings. In my role as Chaplain I provide pastoral care, being there for the whole school community. Through building relationships with staff, students and families I want to empower people to grow, celebrate their successes and show them that they matter. 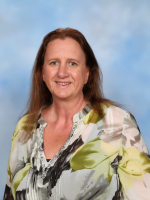 I began teaching at Rivervale Primary School in 2012. I have completed a Bachelor of Social Science degree with a major in politics, and specialisations in Indigenous studies and Sociology. 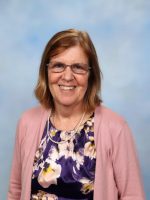 I developed a passion for teaching during my studies, and therefore went on to complete my Graduate Diploma in Education (Secondary). I am an enthusiastic and energetic professional with a love for education. I believe it is a great honour to be an educator and be able to assist children to reach their educational goals. My approach to teaching is directed by the belief that education (including ethics, morals and values) can improve the character of an individual and ultimately the world. 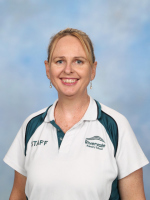 I am the library officer at Rivervale Primary School. 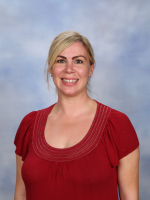 Having worked for many years in the South West as an Education Assistant in the Early Childhood environment, I am excited to join the staff and families at Rivervale Primary. I am passionate about creating engaging learning opportunities for all children, enabling them to reach their full potential in a safe, positive and caring environment. I have worked in education for many years. I have a passion for the creative side of education as I believe being creative fosters positive self-esteem which in turn nurtures a healthy attitude towards all aspects of a student’s education. 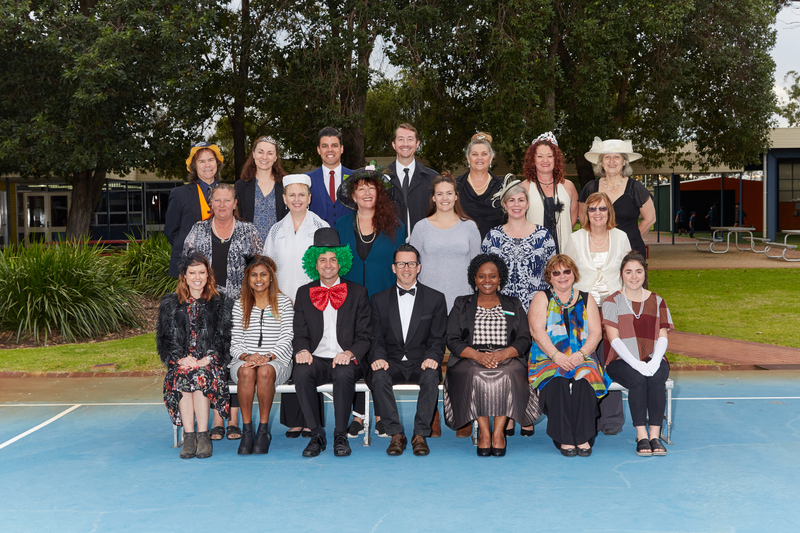 I have been working at Rivervale PS since 2018 and feel very privileged to be part of such a nurturing and caring team. I have a passion for the Early Childhood years with a philosophy that children need the opportunity to explore, investigate and play as they learn. Children need a nurturing environment with hands-on experiences, where they feel safe and can express their interests and individual learning needs. I understand the importance of building strong relationships with families and communities, and believe together we can help our children grow to their full potential. 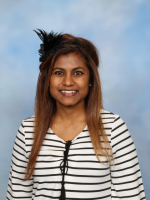 I qualified as a primary school teacher in 2010 and I specialise in early childhood. My teaching career began in England educating children from Pre-Primary to Year 2. I first came to Australia in 2012 for one year and I was lucky enough to work at Tranby Primary School (as it was formerly called). 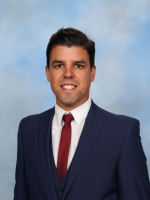 After another few years teaching in England, I knew that I wanted to come back to Australia and teach at Rivervale Primary School. I believe every child deserves an education that inspires, challenges and nurtures the mind. The year 2002 saw me begin assisting special needs children in a school setting. I thoroughly enjoy creating opportunities and assisting every student to achieve, enjoy and advance in all areas of learning. 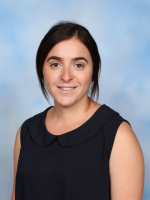 I qualified as a primary school teacher in 2016 and was delighted to start working at Rivervale Primary School shortly after. 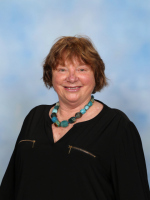 I specialise in late stage primary (years 3 - 6) and take special care to establish a classroom environment that is friendly, interactive, caring and disciplined. My philosophy is that there are no mistakes in my classroom, only learning which leads to the development of confident learners who are willing to give their best effort and attitude in all subject areas setting them up for success in their later primary school years and transition to high school. I started my career in a year 1/2 class in 2005 at Wiluna,1000kms from Perth. I taught there for two years. It was an amazing experience, working in a Remote Aboriginal Community, learning about the issues and having the opportunity to make a contribution to the future lives of the children there, I moved back to Perth to be closer to my family and friends and took a position at Challis Primary school in Armadale for a year. 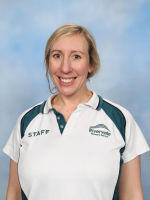 I have worked at Rivervale Primary School since 2008 where I teach Years one and two. 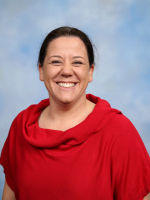 My philosophy has always been that all children can be successful learners and I work to create a classroom atmosphere that is stimulating, encouraging, and adaptive to the varied needs of my students. I am committed to the school and the students I teach. I believe that the early years are the most important for a child's education and aim to instill a love of learning in each child in my class. 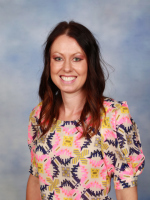 Kelly Moeller is an Education Assistant at Rivervale Primary in the Pre Primary class. 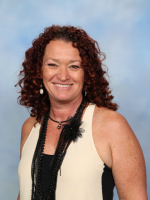 Jackie Phillips is an Education Assistant at Rivervale Primary. I walked through the doors of Rivervale Primary School as a nervous prac student in 2011. What started as my first prac school turned into my second family and home. 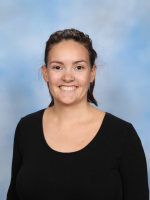 I worked as an Education Assistant at Rivervale during my education degree and I am now a year 2 classroom teacher. I am passionate about providing a learning environment that is safe and allows students to find and embrace their own passion for learning. I want my students to feel as excitied about learning as I do about teaching. I have been teaching for a good part of 20 years. I started in 1991 in an Aboriginal Community 900km south of Darwin. I am a Primary trained teacher. This means teaching from Kindy through to Year 7. My specialised background for the last 5 years has been in Science. I worked for 2 years at Scitech in Perth. I was the Aboriginal Education Co-ordinator. 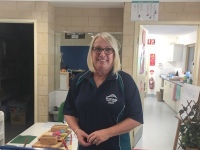 I travelled to every WA community school delivering Science Education. 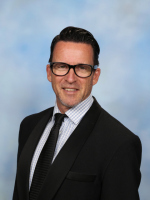 Working at Rivervale Primary School has been a great injection into my teaching. The children and the staff are great people to work along side. The school is very supportive of Science and the children absolutely love working and exploring Science. 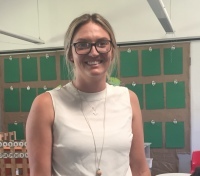 Hello, my name is Ms Cath Spencer, I am an Education Assistant and I am super excited to be a part of Rivervale Primary School. I love working and having fun with children as I enjoy their non-stop energy and imaginative minds. I look forward to coming to school every day to learn something new about each student and form bonds with them. 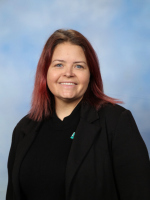 I started working at Rivervale Primary School in 2016 as a special needs education assistant, prior to this I worked in early intervention for The Autism Association. I thoroughly enjoy creating strong bonds with students and supporting them to achieve their goals. 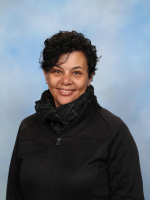 Initally Teacher in Charge of the Belmont and Bentley Community Aboriginal Kindergarten. I came onto the school site at Rivervale Primary in 1996. I have been teaching the Kindergarten Program at Rivervale Primary School since then. This year i am also a member of the Kindilink team, a new iniative for Aboriginal Pre Kindies. Early childhood education is my passion and my joy. 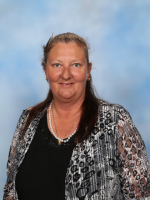 I am a Education Assistant who has worked with Special Needs students at Rivervale Primary School since 2005. I really enjoy working with specific students but get immense pleasure being involved in many whole school programs. 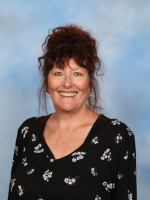 With a passion for teaching in the early years I came to Tranby in 1996 to teach in Pre Primary. Since then I have embraced and enjoyed the strong cultural background of the Rivervale community. I have found Rivervale Primary such a special place to work. It has a positive, supportive and inclusive approach to learning. The skills of all the staff are fine tuned to meet the needs of each individual here. I’ve travelled overseas and to other city and country schools to study early learning at it’s best. I have relished in implementing my growing knowledge and understanding of children and how they learn, especially early intervention. 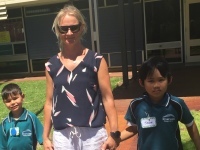 I place a high value on the partnerships and friendships I have built up with parents, carers and families in sharing the role of educating their children here at Rivervale. I am an Education Assistant working with special needs children. 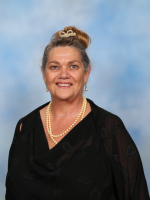 I have been working at Rivervale Primary since 1997.